The design world is full of terms and names for distinct styles. 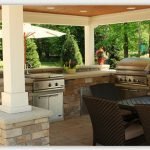 Many consumers and interior design enthusiasts may know what they like, but not what the style they gravitate towards is called. KUKUN is here to give you expert advice on what characterizes a decorating style, so you can find your personal interior design aesthetic. While “Scandinavia” may refer to a cultural and historical region in Northern Europe, the term “Scandinavian design” incorporates a number of elements. First off, when you think “Scandinavian,” don’t think gaudy. Although this style is all about the beauty of simplicity, it is by no means plain. 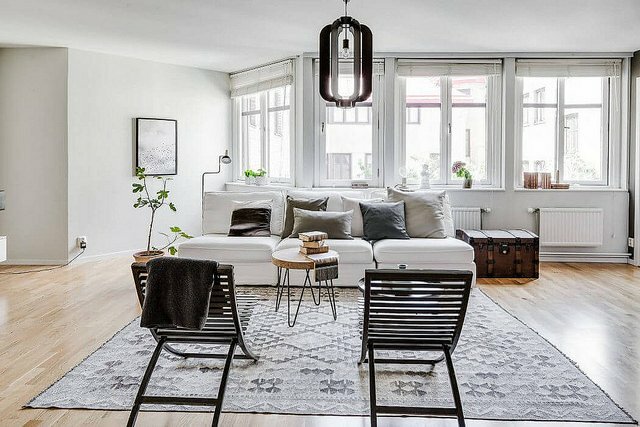 Minimalism is a key component of this design style, as is functionality; Scandinavian design aims to improve daily life. The genius in Scandinavian design is eliminating noisy stylistic frills and focusing the mind on the functionality of the product. Especially in the modern era, the usefulness of everyday items is under appreciated or forgotten altogether. By eliminating excess, the mind is calmed and focused. Where does Scandinavian Design come from? At roughly the end of the 19th century, Modernism was sweeping through Europe, as artist wanted to break free from the industrial revolution and boring, machine-made designs. Combined with the need to conserve materials throughout the worn torn beginning of the 20th century, modernism became about function. The term was first coined at trade shows throughout North America in the 50’s and 60’s, as designers from Europe showed off their designs. Nordic designers specifically needed functionality to allow comfortable living through the winter, and “Scandinavian Design” was coined for this sub-culture of modernism. The trade shows were immensely popular, and this helped turn Scandinavian design into a worldwide trend. Since many Scandinavian countries are not strangers to chilly weather, this style is also characterized by a sense of coziness and warmth. Think curling up in a beautifully simple chair with a unique design on a cold winter evening. Scandinavian design is also tied to nature. Expect to see materials like wood, fur, leather, stone, metal, and natural fibers and fabrics. The mixing of neutral tones with clean whites reminds homeowners of nature, and can meld the interior of a space with nature outside the walls. Scandinavian design also contains the idea of availability and accessibility. Everyone should be able to have great style, and simple items that improve their lives. This can be seen in the philosophy of retail giants Ikea and H&M (both Swedish companies). Another thing to note about Scandinavian design is its popularity. Many companies across the globe (big and small) devote their entire aesthetic to this style. This is likely due to its simple beauty and sense of warmth.